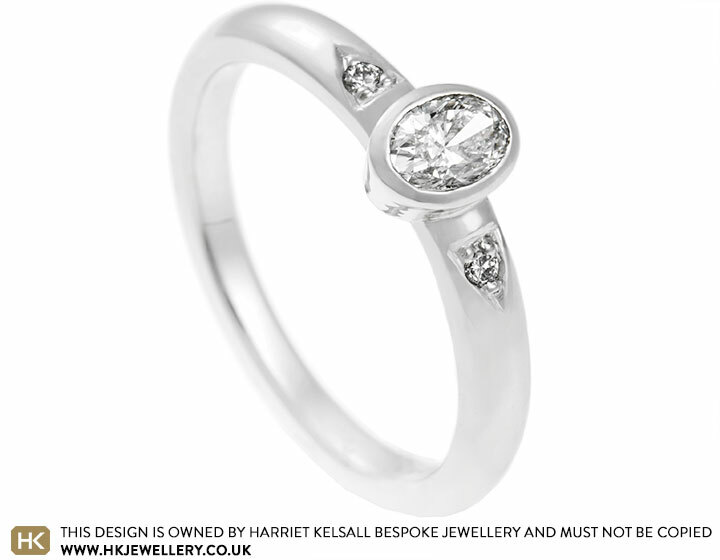 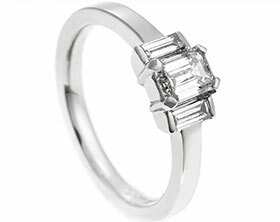 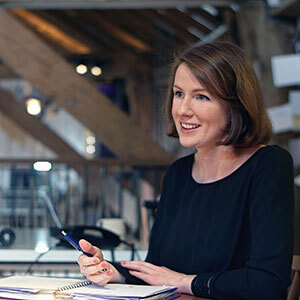 Mary loves classically designed jewellery and Jake wanted to surprise her with an oval cut diamond as he felt it was an elegant cut that would complement her personal style. 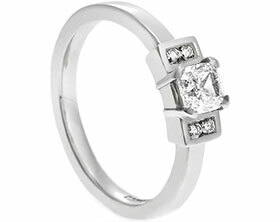 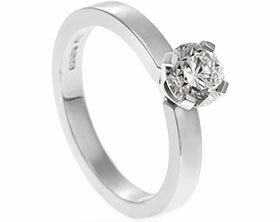 The 0.30ct central diamond is set in an all around setting which gives the ring a clean look and adds a modern twist to this classic design. 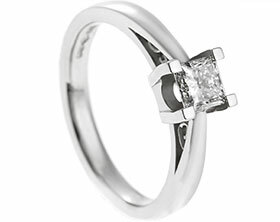 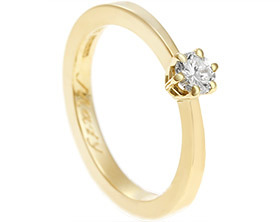 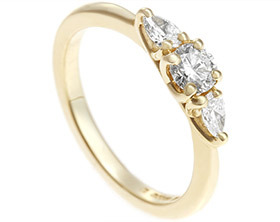 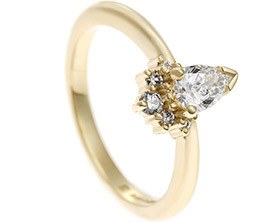 To create a touch more sparkle, smaller diamonds were grain set on to the shoulders of the 2mm band within triangular shapes, which delicately point down the tapering band, echoing the shape beautifully. 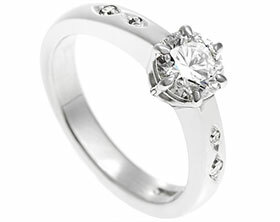 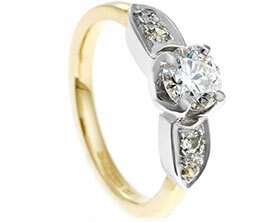 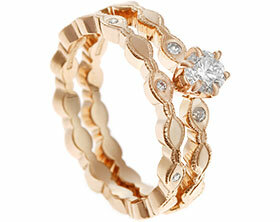 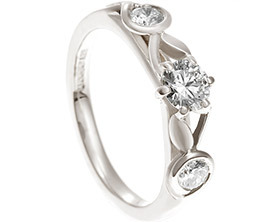 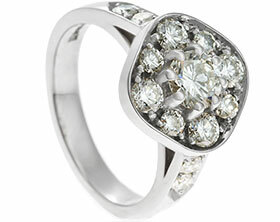 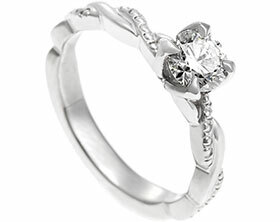 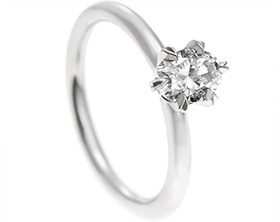 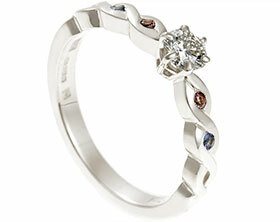 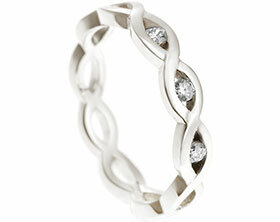 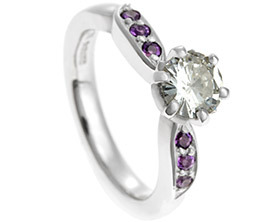 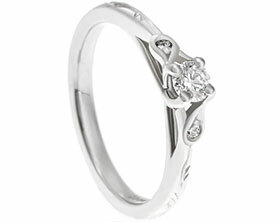 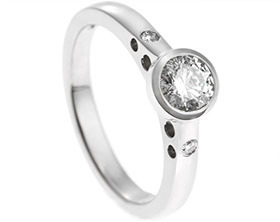 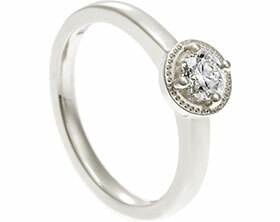 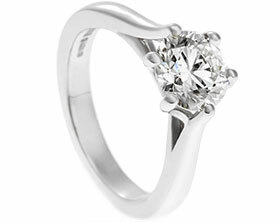 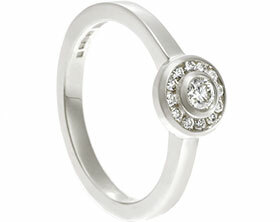 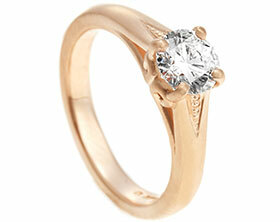 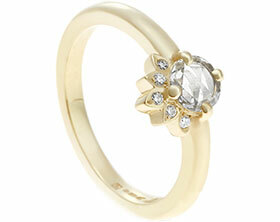 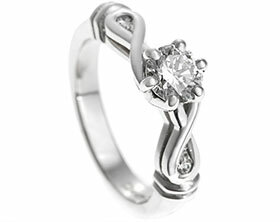 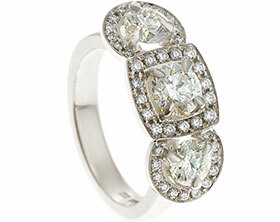 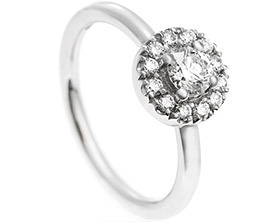 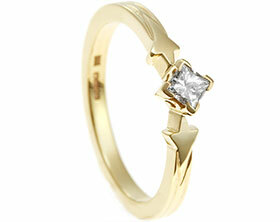 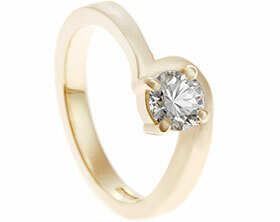 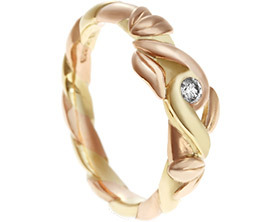 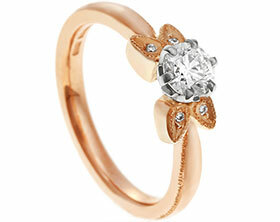 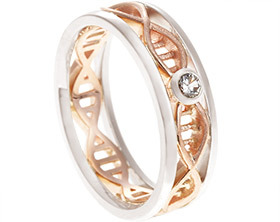 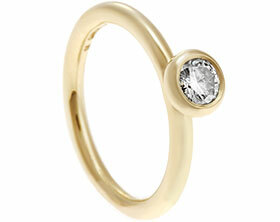 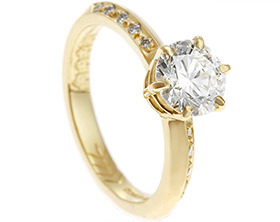 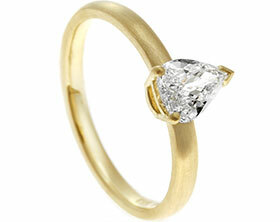 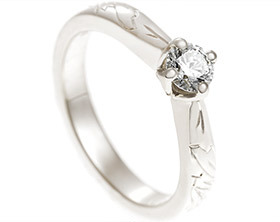 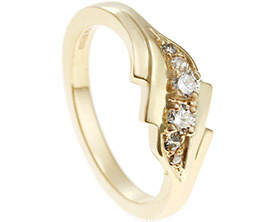 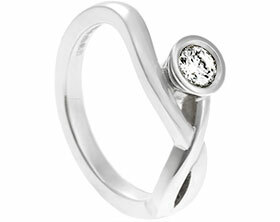 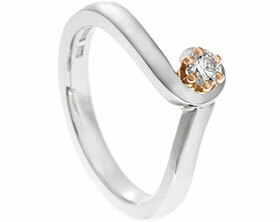 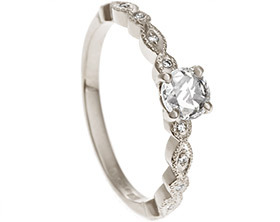 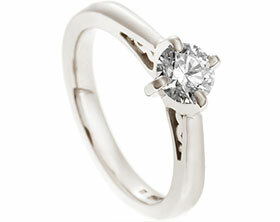 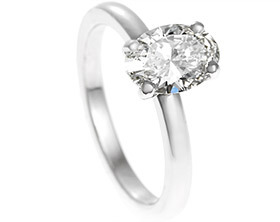 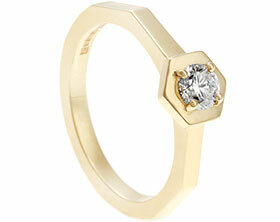 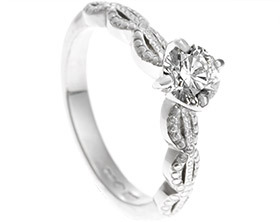 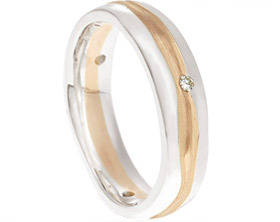 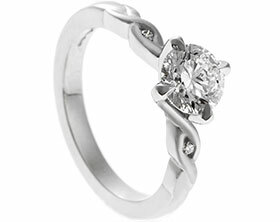 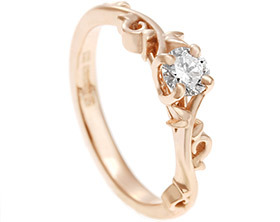 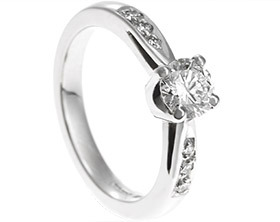 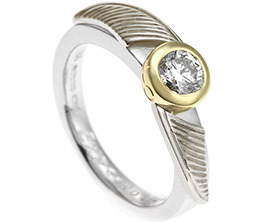 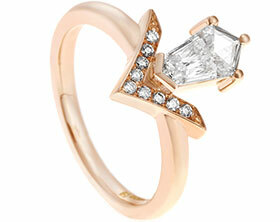 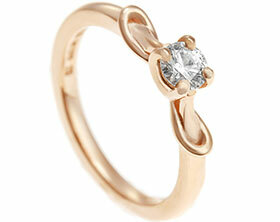 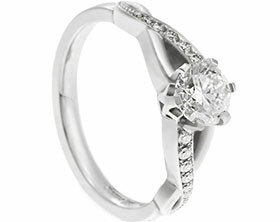 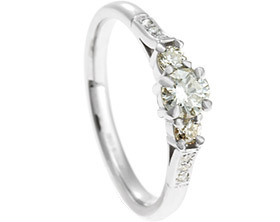 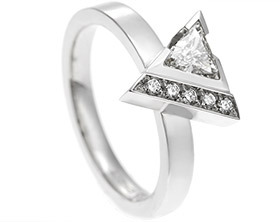 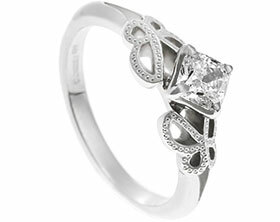 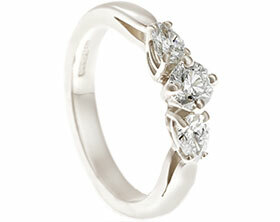 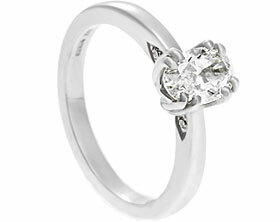 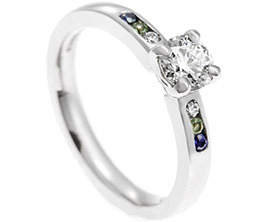 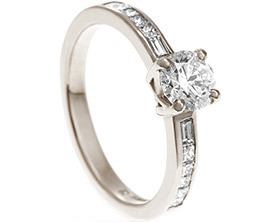 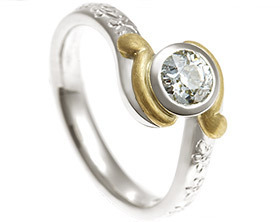 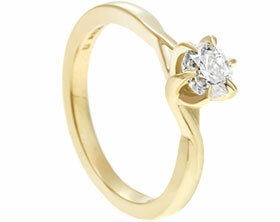 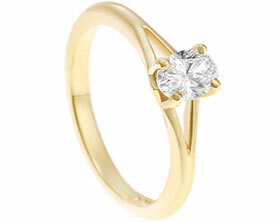 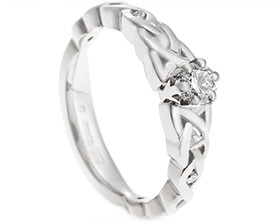 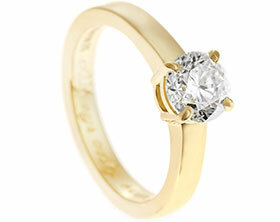 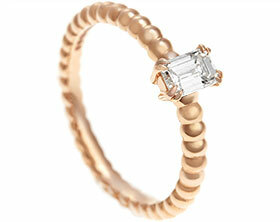 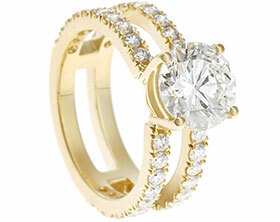 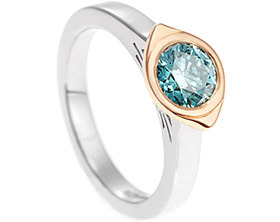 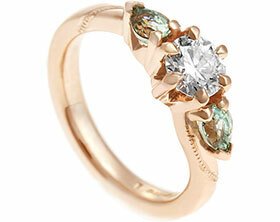 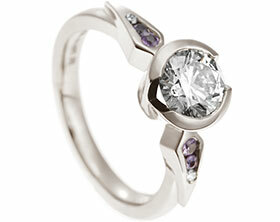 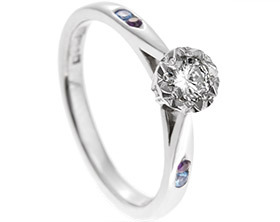 The ring was crafted using palladium for a bright shiny look, while a polished finish enhances this.